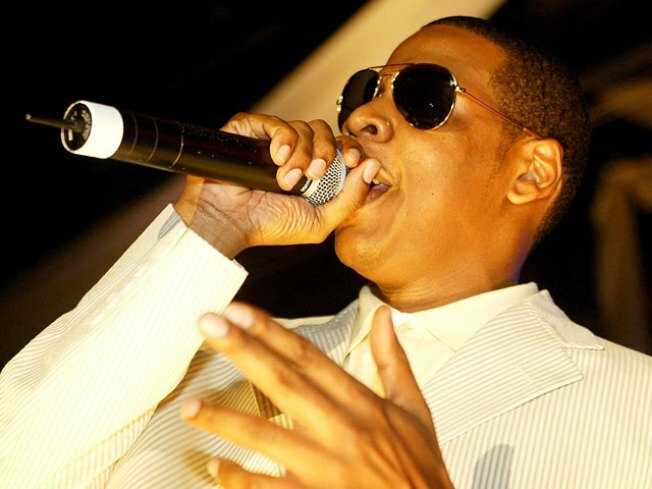 Jay-Z to perform at Mohegan Sun Arena on March 5. Exclusive ticket presale begins on January 14. Many of music's biggest names gathered on February 1, 2010 to remake "We Are The World," in an effort to help earthquake ravaged Haiti. But one name who wasn't part of the project – and who would rather see the 1985 charity anthem remain untouched – was Jay-Z. "I know everybody is gonna take this wrong: 'We Are the World,' I love it, and I understand the point and think it's great. But I think 'We Are the World' is like [Michael Jackson's] 'Thriller' to me. I don't ever wanna see it touched," Jay-Z said on Saturday at the "2 Kings" dinner during NBA All Star weekend in Dallas, according to MTV. "I'm a fan of music. I know the plight and everything that's going on in Haiti. I applaud the efforts: [Millions have been raised] through text [donations] to Haiti," he continued. "So I appreciate the efforts and everything, but 'We Are The World' is [musically] untouchable like 'Thriller' is untouchable. Some things are just untouchable. It was a valiant effort, but for me, it's gonna be untouchable." "We Are The World: 25 For Haiti," which made its debut on Friday night during the opening ceremonies of the Vancouver Winter Olympics, boasted an impressive lineup of the music industry's biggest names, ranging from Kanye West to Pink to Barbra Streisand. Quincy Jones and Lionel Richie again produced it. But as far as Jay-Z is concerned, an all-new song would've been a better way to go. "I would have loved that idea better," he added. "As everyone knows, I have tremendous respect for Quincy Jones. Of course, I think he's genius, as everyone else does. [But] I think it's time for us to make a new [song]." Although the hip-hop mogul wasn't a part of the remake, he did create a new song to help raise funds for Haiti, which he debuted during the "Hope for Haiti" telethon in January. "I tried to do that with 'Stranded,'" he said of the song her performed with Rihanna, Bono and The Edge from U2 during the TV telethon. "I didn't try to make 'We Are The World,' but I tried to make our take on how we felt."